All Featherville homes currently listed for sale in Featherville as of 04/24/2019 are shown below. You can change the search criteria at any time by pressing the 'Change Search' button below. If you have any questions or you would like more information about any Featherville homes for sale or other Featherville real estate, please contact us and one of our knowledgeable Featherville REALTORS® would be pleased to assist you. "Absolutely one of the finest log cabins in the Pine-Featherville area. Situated in a cul-d-sac off a dead end road and is super quiet. All recreational opportunities right off the property including snowmobiling, hiking, hunting, fishing, four wheeling and much more. Roads to Baumgartner Hot Springs, Trinity Lakes, Rocky Bar and Atlanta five minutes away. The cabin has essentially 3 master bedrooms." "River front! Fully furnished ready to move in and start enjoying your mountain activities all year round! 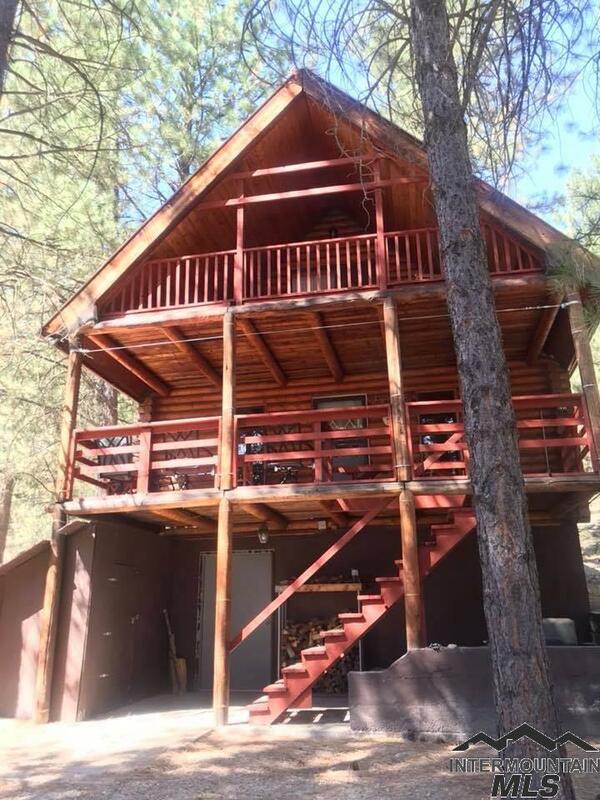 Two bedrooms upstairs plus a screened in sleeping loft where you can see and listen to S. Fork of the Boise River. Additional bonus room over garage. Screened in front porch downstairs, screened in back deck, and large outside deck for entertaining with a TV hookup, or just to sit and enjoy the river and views. Note 3/4 bath, no bathtub." "This is a stunning mountain cabin. One of the best maintained properties in this area. The builder ensured that all wiring and plumbing were run into the center walls to prevent damage and freezing. The present owners are only the second owners of this property. Nice large garage with power near the road so access is year around. 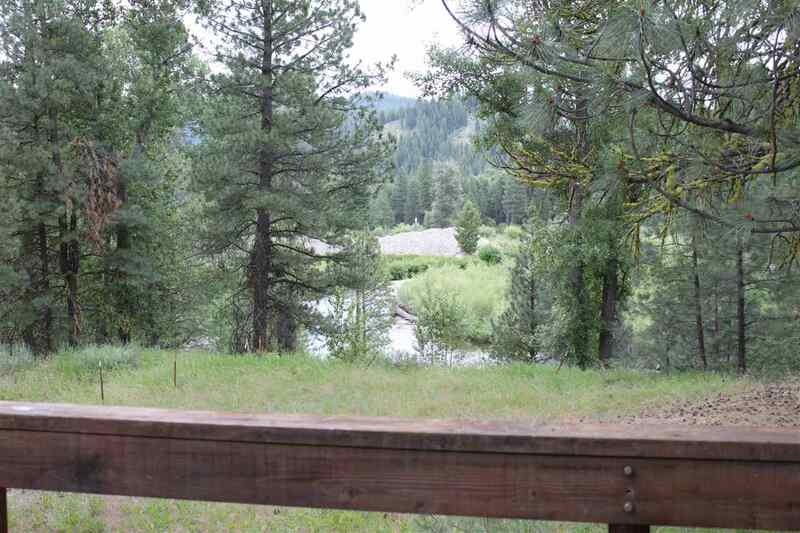 All recreational opportunities right off the lot including hiking, snowmobiling, fishing, hunting, four wheeling and close access to roads to Trinity Lakes, Rocky Bar a"
"Incredible parcel across the street from the South Fork Boise. Awesome views. Additional room to built if desired. Roads to Trinity Lakes, Rocky Bar, Atlanta and Baumgartner Hot Springs all close. All recreational opportunities right off the lot. This lot has year around access. 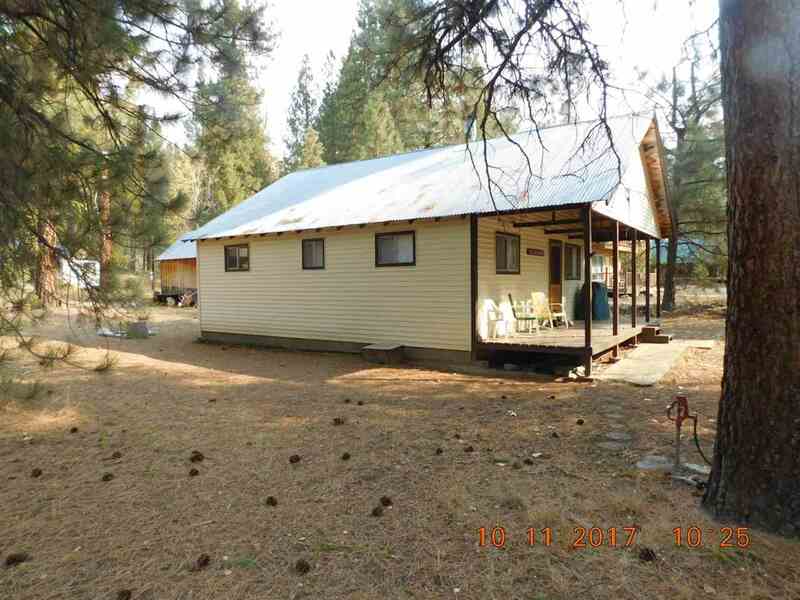 The cabin is on a .692 acre lot and sets back off the main street. This property is located in Trinity #1 Sub." "New Renovation! See Docs for amenities. Great location! In between Trinity and Baumgartner Hot Springs. Close to Elk Valley and Featherville Resorts. River View! Amazing deck view of the Feather River meeting the South Fork of the Boise River. Year round access! Many recreation activities just outside your door including hiking, swimming, fishing, golfing, hunting, snowmobiling, four wheeling, and water skiing. Or just take an enjoyable ride to Anderson Ranch Reservoir, Trinity Lakes, Rocky Bar,"
"Perfect mountain cabin near Featherville Id. Roads to Trinity Lakes, Atlanta, Rocky Bar and Baumgartner Hot Springs five minutes away. All recreational opportunities including hiking, fishing, hunting, snowmobiling and four wheeling right off the property. South Fork Boise is very close with public access. Would be an outstanding hunting cabin location."